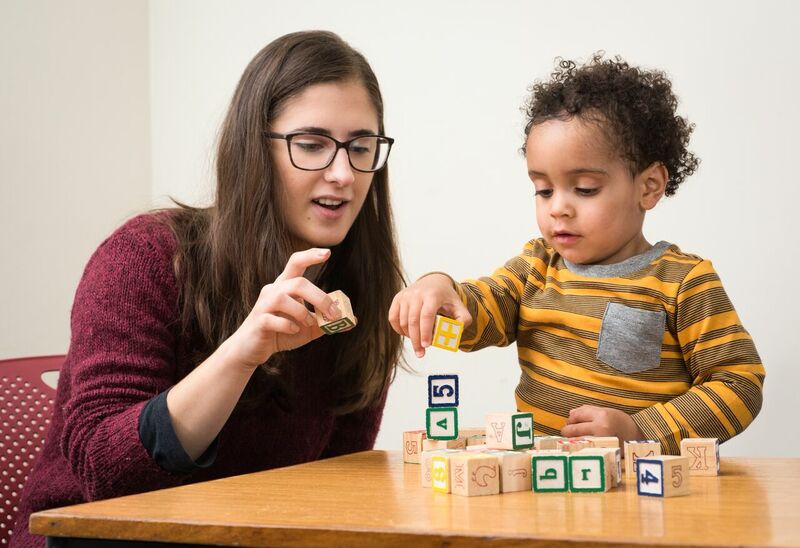 Anna Kolesnik, PhD candidate in Birkbeck’s Centre for Brain and Cognitive Development (CBCD) discusses the research in motion at the BabyLab, and why we’re crowdfunding to extend this research to toddlers. How do babies become experts at processing the social world? Can we identify early neural correlates of this specialisation? Previous investigations carried out at the BabyLab have explored rhythmic activity in the brain in response to social stimuli, finding evidence for early specialisation to faces and gaze as early as 4 months of age. Throughout the second half of the first year, we have seen evidence for increased perceptual narrowing in several aspects of cognition, allowing more efficient processing of incoming information. We also know that by age 2-3 years, toddlers become experts at navigating the social world and tune their attention to relevant information sources. This is also the time where first behavioural symptoms of neurodevelopmental disorders such as Autism emerge. Majority of our current understanding comes from cross-sectional research, which captures a ‘snap-shot’ in development. Here at the BabyLab, we want to study the early years continuously, which will increase our ability to identify and propose intervention strategies for infants at risk. Families with 5-month-old infants were recruited to take part in the study at the BabyLab in the Centre for Brain and Cognitive Development, with additional visits at 10 and 14 months. Fourteen babies form a subgroup of bilinguals, as they are exposed to a language other than English for a significant time. 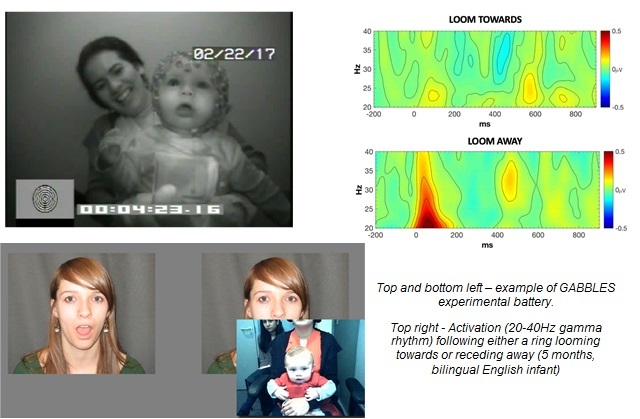 The testing protocol included tasks to evoke oscillatory activity in auditory and visual areas of the brain (which we record from passive sensors placed on the baby’s head). They also completed an eye-tracking session, which measured several aspects of pre-verbal language development and comprehension– including word recognition, language preference, and syllable matching tasks. These were accompanied by a standardised assessment of the infant’s cognitive and motor abilities. After the three visits were complete, parents were asked to complete questionnaires on their child’s behaviour, language and sleep until their children turn 2 years. Currently, data collection is almost complete and our lovely participants are entering toddlerhood. At present time, we are only able to collect parent-report questionnaires about language and social abilities of their toddlers. In some ways, this is useful as we can capture some individual differences in development on a behavioural level (i.e. language experience and vocabulary), and then go back and look at possible biomarkers (activation to a native vowel or attention to native/non-native speakers). Being able to follow up these children using wireless technology once they are verbal and actively engaging with the outside world would provide enormously rich insight into how our early brain specialisation affects later functional development. Further, we may be able to identify critical periods of maturation and change in order to generate the most effective interventions and improve outcomes in children with autism. We are aiming to secure £30,000 in donations for the equipment for the new ToddlerLab. If you are interested in donating and contributing to the centre’s crucial research into children’s development, please see our crowdfunding campaign page. T his post was contributed by Dr Emily Jones, a researcher into early markers of autism at the Babylab at Birkbeck and a member of the team which have just launched the Studying Autism and ADHD Risk in Siblings (STAARS) project. Over 1.4 million people in the UK live with autism or attention-deficit hyperactivity disorder (ADHD). Autism makes it difficult to communicate and interact with other people, and ADHD affects attention and concentration. Autism and ADHD are lifelong disorders that can have a huge impact on people’s lives, affecting their ability to work, live independently or start a family. Although parents often have concerns about their child from early on, autism isn’t often identified before toddlerhood, and children with ADHD often don’t receive a diagnosis before they reach school age. Recently there was wide-spread media coverage when singer Susan Boyle revealed she had been diagnosed with Asperger’s syndrome, a form of autism, at the age of 52. She spoke candidly about her relief at receiving a diagnosis which enabled her to make sense of the symptoms she had experienced throughout her life and which had caused her difficulties as a child. Although diagnostic services for autism and ADHD have undoubtedly improved since Boyle was a child, families still speak of the struggles they encounter in trying to access help for their child, a process that can take years and put an unbearable strain on family life. Providing support for learning in early development can make a real difference to children with autism or ADHD, and the earlier a child receives this support, the more effective it is. Delays in accessing services can make families feel that time is running out for their child. But families can only access services after receiving a diagnosis – which means that being finding ways to identify signs of autism or ADHD in babies, rather than waiting for symptoms to develop in toddlerhood, would make a big difference. Today (Thursday 23 January), my team at the Babylab at Birkbeck, together with similar teams from across Europe, is launching a new study of infants with older siblings with autism or ADHD. For infants with an older sibling with autism or ADHD, the chances of also having one of the conditions may climb to 20%. Starting in the very first months of life, our scientists will use cutting-edge techniques to study brain and behavioral development in infancy and through to toddlerhood. By looking at what is happening in the brains of infants who later receive an autism or ADHD diagnosis we hope to find the earliest signs of these conditions – before the children go on to develop the behaviours which can be very hard to ‘unlearn’. We are looking for families with a baby (less than six months old) and an older child with autism or ADHD to help us learn more about the early signs of the conditions. Our work is supported by the UK Medical Research Council, the European Union, and major UK charities like Autistica, and our scientific partners are based in Sweden, Holland, Poland, Belgium and the US. It’s the first time that a study of this nature has been conducted on such a large scale, but by joining together, we believe that we can make the scientific advances that will drive change for the lives of individuals with autism and ADHD and their families. Listen to the latest Birkbeck Voices podcast, which is about the new STAARS study. 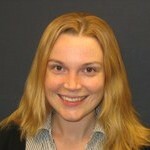 Dr Angelica Ronald, Department of Psychological Sciences, has been awarded the 2012 Spearman Medal for her work on autism spectrum disorders. Autism is a neurodevelopmental condition that begins in early childhood. It is characterised by three main symptoms. Problems with social interaction: this usually involves a general tendency of not being interested in interacting with other people, not having many friends and not being interested in social input. Communication problems: these can range from having no language at all to having reasonable language skills but making unusual errors in communication style and not being able to maintain a two-way conversation. Restrictive, repetitive behaviours and interests. For a diagnosis of autism to be made, all three symptoms must be present. Autism is usually diagnosed from the age of two years or older. One of the key areas of Dr Ronald’s research has been the development of the Fractionable Autism Triad Hypothesis. This suggests that, contrary to previous thinking, autism may not be caused by a single set of genes causing the whole condition, but that each symptom of the condition may be caused by largely different genetic and environmental risk factors. In order to find evidence supporting the Fractionable Autism Triad Hypothesis, Dr Ronald has conducted large-scale general population twin studies and molecular genetic analyses. She has found that many children display some symptoms of autism but don’t have a diagnosis of autism because they do not display the entire set of symptoms. A child may have just as many social impairments as a child with autism, but if they do not display the communications difficulties or restricted repetitive behaviours they will not be diagnosed with autism. Understanding the different genetic and environmental causes of the different characteristics displayed by children with autism would enable researchers to tailor interventions and treatments more effectively. The team are exploring three hypotheses. First, they are testing whether the same genetic risk factors play a role in causing autism and ADHD and anxiety disorders. Second, they are investigating whether these conditions may co-occur in the same individual in part due to similar environmental risk factors involved across conditions. For example, autism and ADHD are known both to be linked to complications during pregnancy and birth, so it could be environmental risk factors that increase the risk of a child having multiple conditions. Finally, they are also exploring whether additional psychiatric conditions occur in children with autism as a result of the challenging symptoms involved. For example, if a child with autism experiences a lot of negative responses, they may develop anxiety because of their autism, rather than due to shared genetic or environmental underpinnings per se. This research will lead to a better understanding of the causes of, and relationships between, multiple psychiatric conditions. The aim of Dr Ronald’s research is to improve the understanding of the causes of autism and other psychiatric conditions. A better understanding of autism’s causes has a variety of implications. Once we understand the biological basis of a condition, more targeted treatments can be developed. It also means that autism could potentially be detected earlier, and intervention and treatment could begin earlier on, leading to better quality of life for the child affected and their family. >> Find out more about Dr Ronald’s work at the Genes Environment Lifespan (GEL) Laboratory.